Fish For Compliments is a game made in 24 hours for Fishing Jam 2. 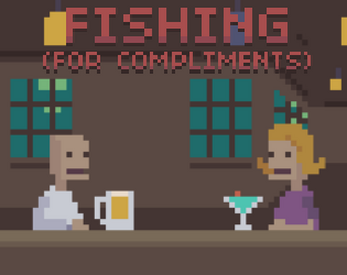 Click the button to fish for a compliment, and click again to advance the speech bubbles. You can turn the music loop off with the button in the top right corner. Feel free to C&C, and thanks for taking the time to check out my submission!